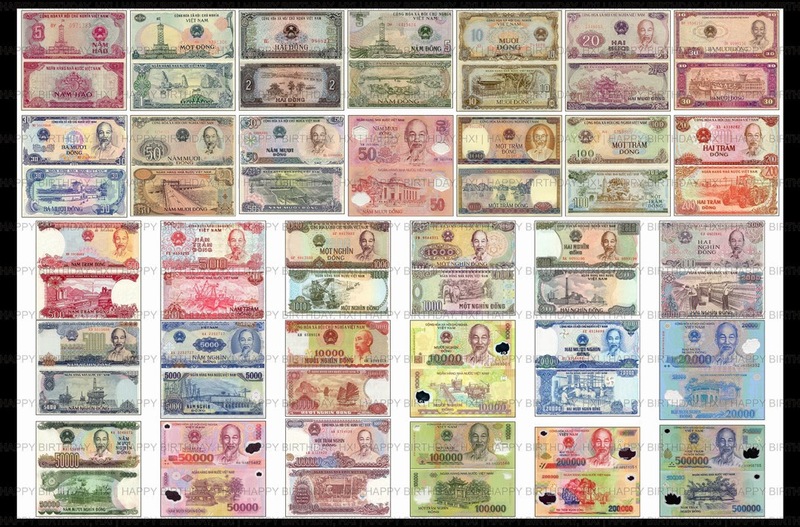 Curent Vietnam Coins have 5 denominations: 5,000 VND, 2,000 VND, 1,000 VND, 500 VND and 200 VND. 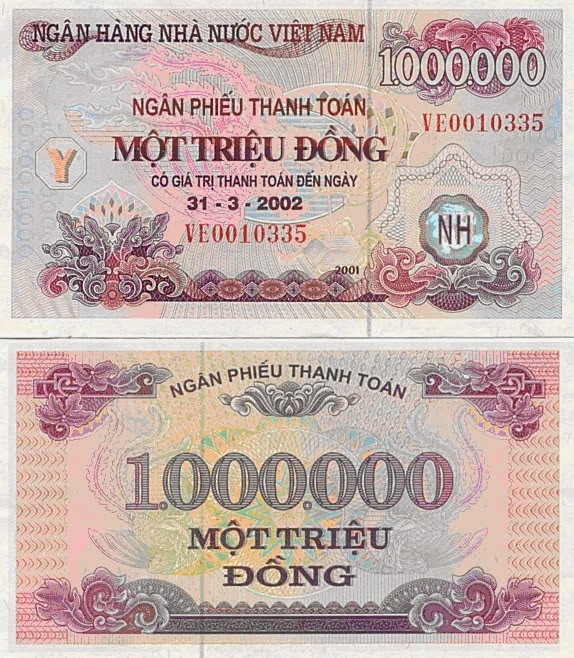 To support growing industrial need for large money transactions, the State Bank issued “Bearer’s Checks” or “State Bank Settlement Checks” (Ngân Phiếu Thanh Toán) in denominations from 100,000 to5,000,000 đồng. 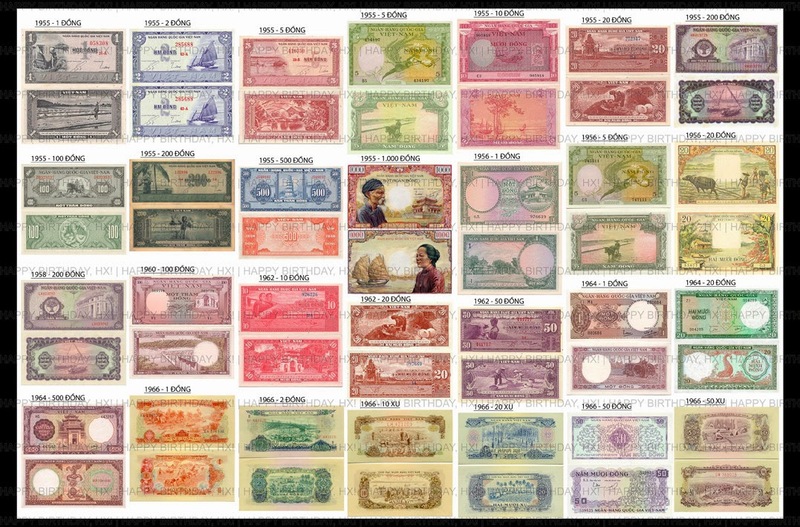 Notes dually denominated in piastres and đồng were issued in 1953 for the State of Vietnam, which evolved into South Vietnam in 1954. 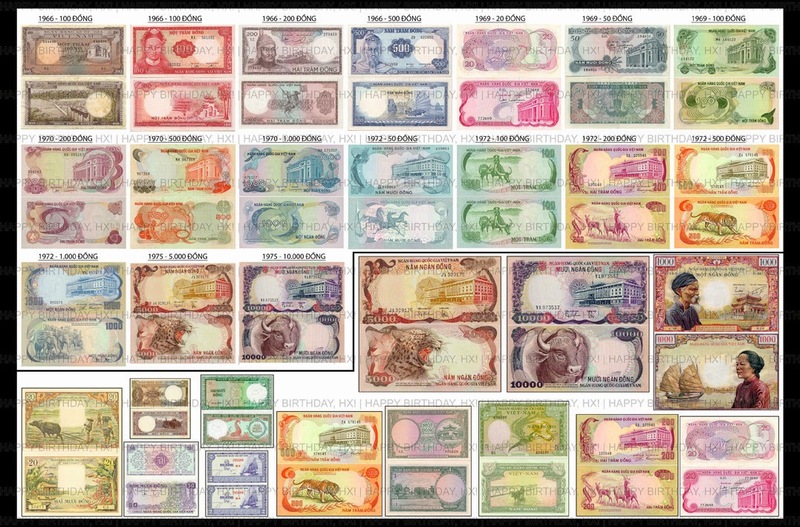 On September 22, 1975, after the fall of Saigon, the currency in South Vietnam was changed to a “liberation đồng” worth 500 old Southern đồng. After Vietnam was reunified, the đồng was also unified, on May 3, 1978. One new đồng equalled one Northern đồng or 0.8 Southern “liberation” đồng.